Can Implant Placement Surgery be Successful in Diabetics? I have well-controlled diabetes. 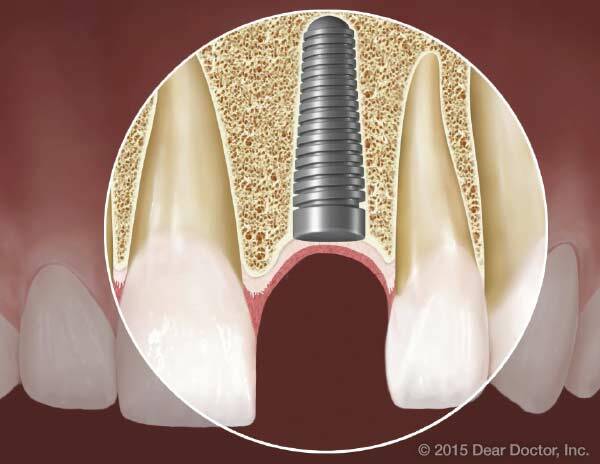 Do I have a higher risk for complications if I get dental implants? That’s an excellent question — and since there are over 26 million diabetic individuals in the United States, it’s relevant to many people. As you probably know, diabetes is the name for a group of metabolic diseases that affect how the body processes glucose, a simple sugar that supplies energy for living cells. Glucose levels in the blood are regulated by the hormone insulin, which is produced in the pancreas. When the hormonal system for regulating glucose is not self-controlled, the amount of glucose in the blood can vary dangerously. In type 1 diabetes, the pancreas stops producing insulin. Careful daily monitoring of blood glucose levels and insulin injections are required to control this condition. The most common variety of diabetes, type 2, occurs when the body either fails to produce a sufficient amount of insulin, or fails to respond to the insulin it does produce. In both types, blood sugar levels that are too high or too low can, over time, cause blindness, nerve damage, kidney disease and gangrene, resulting in loss of fingers, toes and even limbs; acute changes in glucose levels may result in coma or even death. But diabetic individuals with good blood glucose control can avoid many of the effects of the disease. The most reliable way to find out how well the body can control blood sugar over a longer period of time is by measuring the concentration of a marker (a substance in the blood) called HbA1c. This molecule, a form of hemoglobin (the pigment that gives blood its red color), provides a good indication of average glucose levels over the prior three months — half the average lifetime of a red blood cell. People with HbA1c levels above 6.0-6.5% are considered diabetic; levels of 7% or less are typical of diabetic patients with good blood glucose control; and levels over 7% indicate less blood glucose control. Many people have learned to manage type 2 diabetes by watching their diet, exercising, monitoring their blood glucose levels, and getting regular medical checkups. Prescription medication is also needed when lifestyle changes are not enough. Yet complications from diabetes, such as poor wound healing, remain an issue; that’s why the question about dental implants arises. Wounds in diabetics tend to heal more slowly, and to be more infection-prone than in non-diabetic individuals. Damage to the small blood vessels (capillaries) caused by high glucose levels is believed to play a major role. Narrowing and stiffening of the capillaries can reduce blood circulation to the eyes, fingers, toes, kidneys… even gums. The elevated blood sugar levels of diabetes can also change the body’s inflammatory response. Inflammation, the first step in the wound healing process, normally has a protective role. In diabetic people, however, inflammation can become chronic, eventually leading to tissue damage and other problems. Because implant placement requires minor surgery, dentists and researchers have long been concerned about whether dental implants are appropriate for diabetic patients. In the past few years, a growing number of studies have compared the outcomes of implant surgery on non-diabetics versus diabetics with good or poor glucose control. The recent results are encouraging: Many diabetics can indeed be good candidates for dental implants. Individuals who have diabetes that’s not well controlled should always seek advice from medical professionals. But poor blood glucose control by itself doesn’t necessarily rule out dental implants; your dentist or doctor may have recommendations that could help in your particular case.